Winter makes food photography very challenging for me, because where’s the light?!? 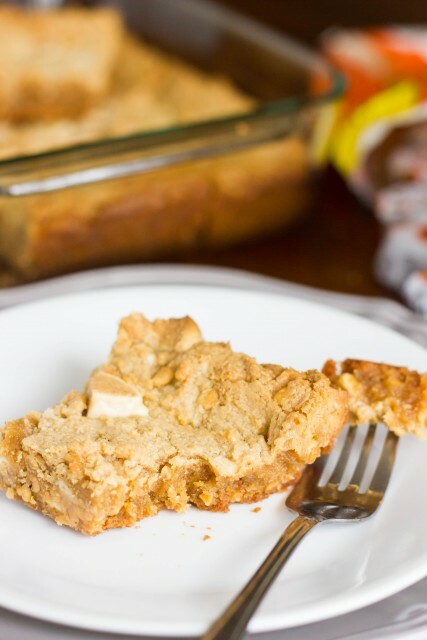 Trying to find the light leaves me baking Pink Grapefruit Bars and these blondies at 6 am (on a Saturday!) and cooking dinner at 4 pm (then reheating it hours later) so that I have decent light for pictures. Sometimes, it’s still hard to get a good picture! Oh well! But try and look beyond the mediocre pictures. 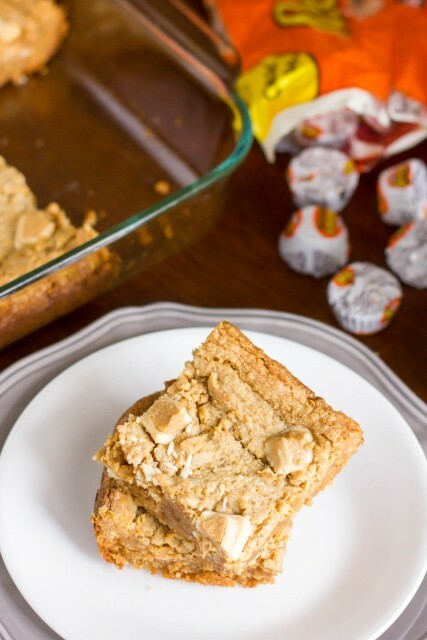 You need to make these White Chocolate Peanut Butter Cup Blondies! They are seriously addictive. Jordan and I pretty much ate the entire pan in a weekend ;). 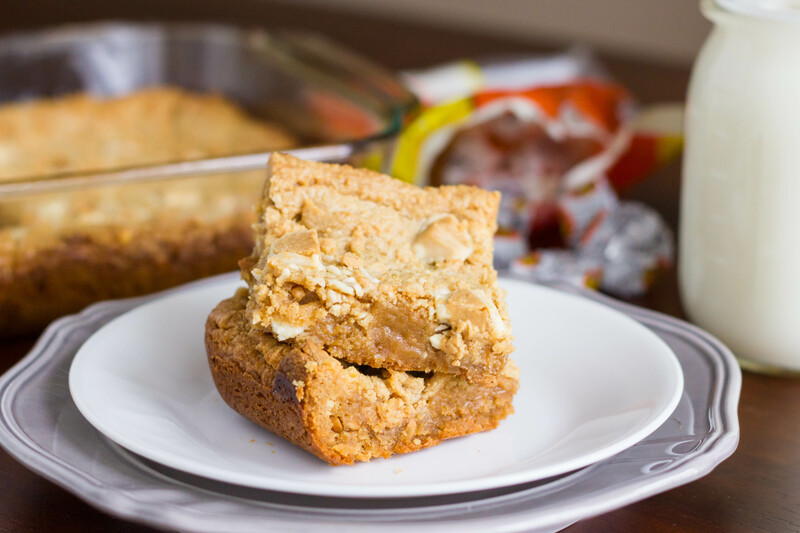 Chewy, peanut butter blondies stuffed with chopped white chocolate reese’s cups – I mean, what’s not to love?? Make them. Love them. Enjoy! 2. In bowl of stand mixer with paddle attachment, beat butter and sugar until light and fluffy. Add egg, peanut butter, and vanilla. Beat until smooth. 3. Add flour, salt, and baking powder and mix on low speed just until combined. 4. Stir in chopped reese’s cups by hand, reserving a few for sprinkling on the top. Spread into prepared pan. Top with remaining reese’s cups. 5. Bake in preheated oven for 30 minutes or until top is golden brown. Center will not appear done at first but will set upon cooling. Be careful not to overbake! I love idea of baking with the white chocolate Reese’s! Sounds delicious! And I love how you call these pictures “mediocre” but still ended up on Food Gawker 🙂 Hehe! Good work! !